This polychrome brick chapel was erected in 1868, the stone-laying ceremony taking place on 11 August of that year. 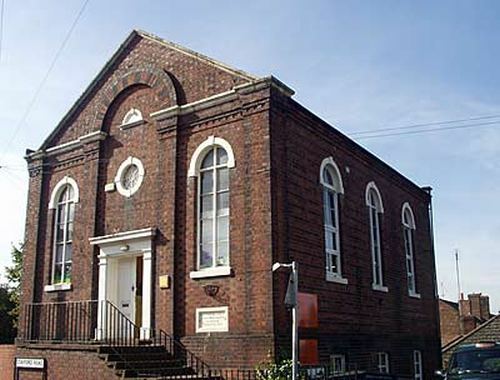 The chapel opened on 5th September 1868, with seating for 200 worshippers. It was described at the time as a "neat, inexpensive, and commodious building, and every way adapted for the purpose of its erection." The chapel closed in October 1945. In 2003 it was used as the "Chapel Nursery".